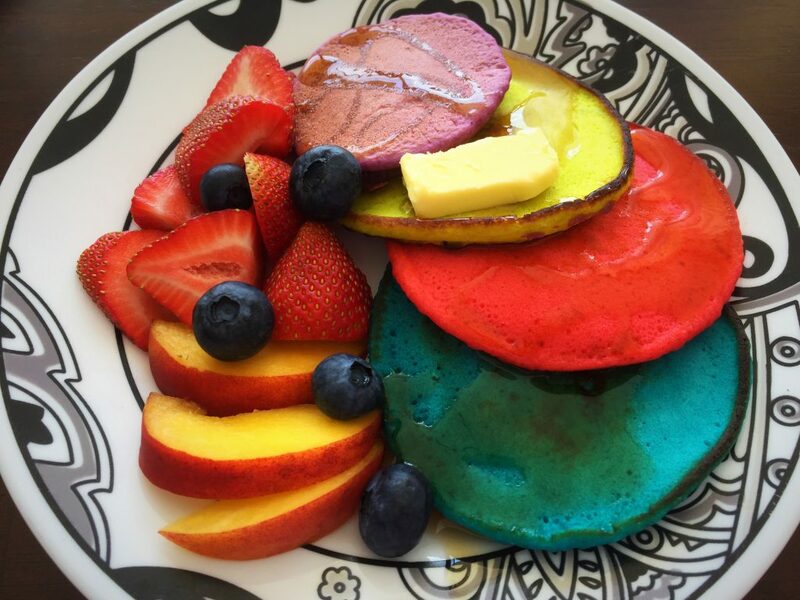 Today, I wanted to start my day with something special, colorful & sweet to evoke positive thoughts and happy vibes. Mix all the ingredients in a bowl until there aren’t any bumps. 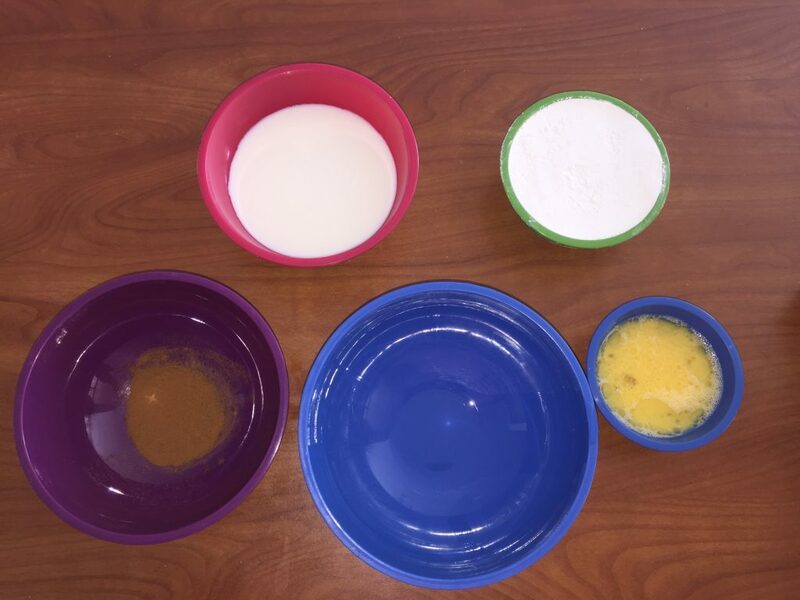 I like mixing the flour & cinnamon with the milk first; in a separate bowl I beat the egg and mix it with the oil. Then incorporate all the ingredients together. 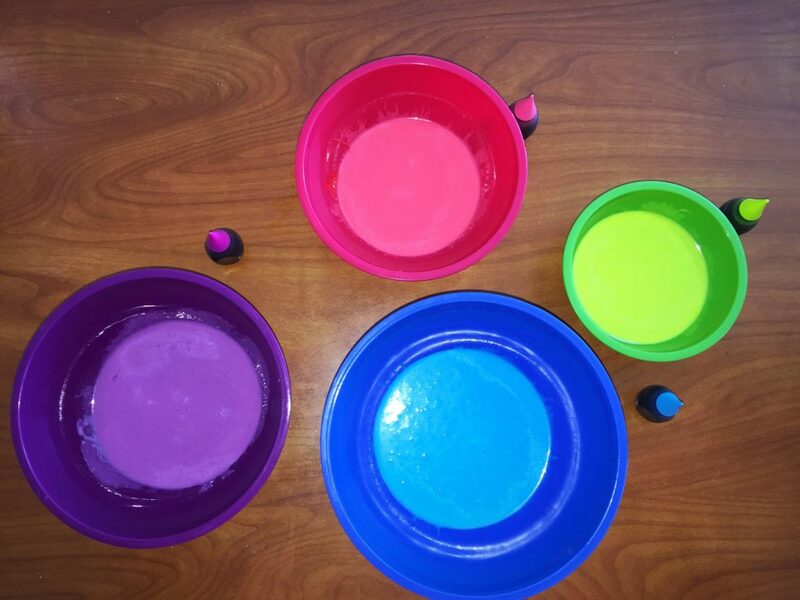 Distribute the pancake mix in separate bowls, adding 7 drops of colorant to each bowl. 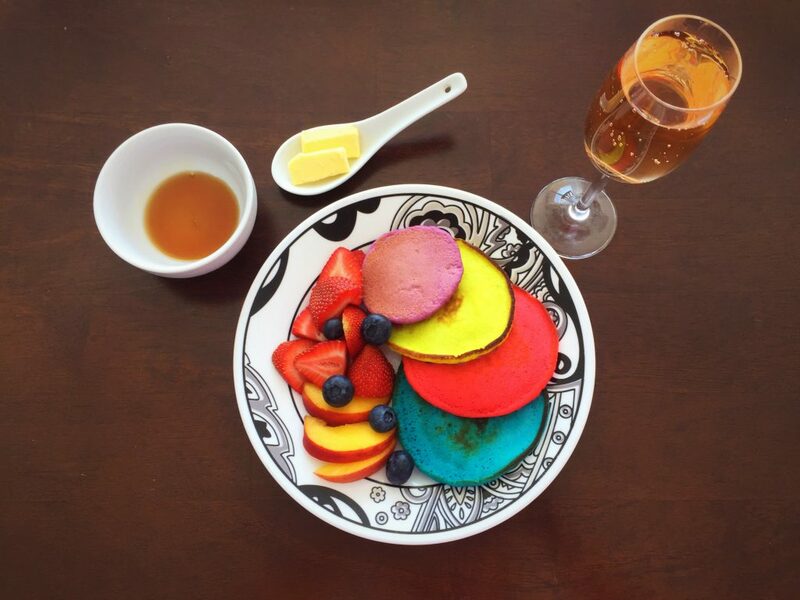 I made the pancakes in different sizes, cut some fruits and plated with butter on the side. For the rose mimosa, I mixed pear juice, green grape juice and a splash of rose moscato in a tall glass.